You are here: Home › Events and Workshops › What’s your favourite event? There are different types of events, to be enjoyed for different reasons. Our pro perspective is automatically going to be different from the attendee asking. People have different reasons for attending events, which means different features appeal to different people. There are simply too many events we enjoy, and the best ones are without comparison. Just as you enjoy eating at a variety of different restaurants, we enjoy different types of events for different reasons. I’d like to detail a few from our pro perspective, and make recommendations according to what your priorities are. 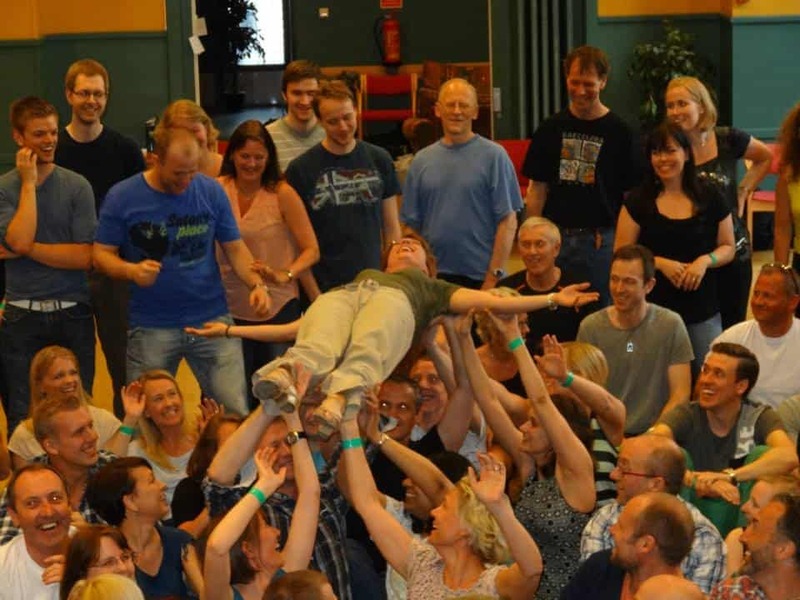 Here’s a great article on balancing these two common aspects of every event. All events have a social dancing component. Big or small, Myles & I always assume that social dancing is part of the reason we are there. Not just because we are paid to be there, but because we are in the WCS world for the purpose of social dancing – we actually like it. We don’t consider it a chore, and we feel drawn to the ballroom every night. We try to dance with as many people as we can, especially on Thursday and Sunday nights when the crowds are smaller and there is more space and less risk. When we social dance, we are not evaluating – we are in “autocorrect” mode, not “spellcheck” mode. We make a game for ourselves of making each person we dance with walk away feeling like a million bucks. However, exhausting weekends are exhausting: sometimes we don’t have the energy to be creative, or compensate and adapt to survive, or dance to fast songs. In that case we still like to be social and chat on the side of the floor. Our preferences for social dancing are the same as any attendee – decent music, safe floor, air circulation, water available, place to sit, decent lighting. I personally get frustrated when basic needs like this are not provided, so I appreciate events that anticipate the needs of the attendee in advance. West Coast Swing dancing is entertainment! Social dancing is a big part of the entertainment of the weekend. One could argue that when we teach workshops we are providing educational entertainment. 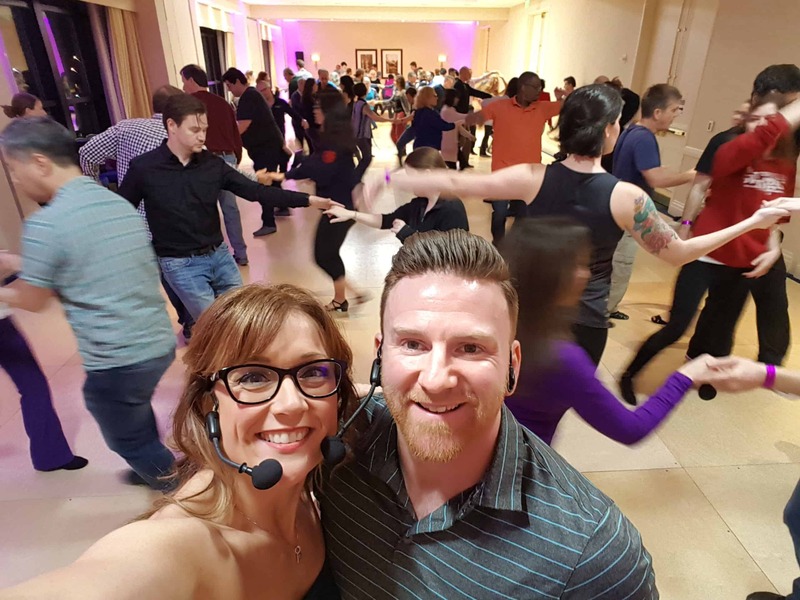 The Swing dance culture has always been social, with many people creating their entire social lives around the dance scene. Events become more like family reunions. It has been said that “we aren’t dancers with a drinking problem, we are drinkers with a dancing problem”. 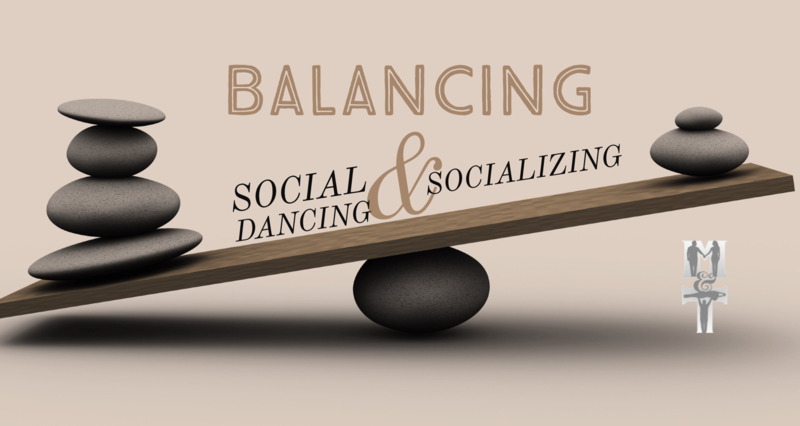 There are a variety of ways to socialize at events, sober or not, dancing or not, one-on-one or in groups. You are free to make your own fun. Some events offer activities to facilitate this aspect, such as cocktail parties, breakfast buffets, or pool parties. Even before these were available, social dancers were perfectly happy dancing the night away. Keep in mind that optional add-ons like this cost money, which is either built into the price of the ticket or is user-pay. But this should not be your prime reason for attending a WCS event. Sometimes we hear people moaning about having to pay extra for activities or food etc. Remember 2 things: 1. You signed up for a DANCE event, for which you are definitely getting a screaming deal (WCS dancers pay one of the lowest event pass rates of all the social dance styles). 2. If you don’t pay extra for it, it’s going to be built into your ticket price anyway for the event to afford it, so you might as well enjoy it. Think of it this way: even if you’re not interested in that feature, it attracts other people who are, and those people ultimately add to your pool of potential social dancing partners. Personally, we love to participate in the party aspect of an event, whatever that looks like, and whoever that involves. While we don’t think it’s a necessary element to include, we appreciate promoters who put thought into throwing a party with purpose: to celebrate certain people, to thank volunteers, to provide a special atmosphere, whatever. Not all workshop weekends are created equal. 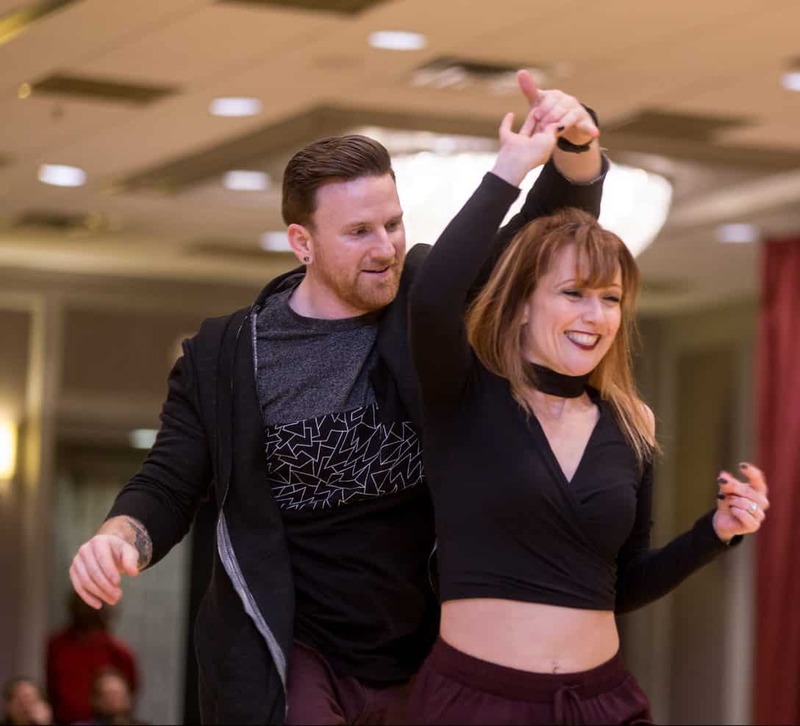 The catchphrase, “Intensive” has been misused and overused in recent years, and has come to be synonymous with “workshop weekend”: a random assortment of workshops from one pro/couple. But Intensives were originally designed to be progressive. These are harder to teach, and therefore rarer to find, and happens to be our specialty. As teachers, the most intrinsically rewarding for us is our Progressive Intensive. Having 8-10 hours over the course of a weekend where we can teach content progressively to a smaller group allows us to affect permanent change in individual dancers’ skills and their community. This is why we do this job! We thrive on helping people get breakthroughs in their dance progress. As social people, we love being able to spend some time in a community and get to know its dancers on a more personal level. We love supporting the teachers in the community, helping them grow the scene and the level of their dancers, and actually getting to social dance with the majority of the dancers. This type of training weekend is intended to accelerate the progress of all dancers, including competitors, but unfortunately, too often competitors abstain from growth opportunities like this because they don’t involve competitions. This baffles me – I can’t imagine going to swim meets, soccer tournaments, or sailing regattas back to back without training in between them. The training that has been historically available to WCS dancers has been sporadic at best – dancers need to be proactive in seeking out as many training opportunities as they can, from as diverse a range of teachers as they can access. 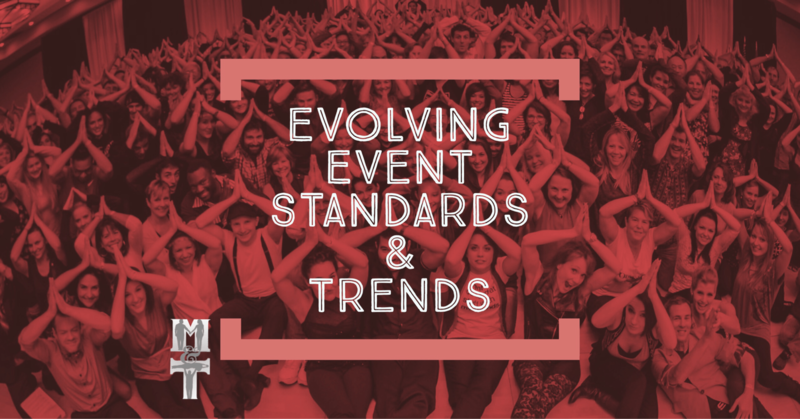 These are smaller events (<400) that usually involve a small handful of pros teaching multiple workshops, and may or may not offer improv competitions. Our favourite part about this type of weekend is that everyone attends the workshops – at all levels. Auditions are held to formally place some or all dancers into 3-6 levels. This ensures a homogenous group which is easier to teach and had advantages for learning. The audition part is usually fair and accurate, but can be nerve-wracking for dancers who have never been exposed to a skill-based achievement system: they grew up in a dance school that allowed them to graduate to the next level based on attendance, not based on a skills assessment, which gives them a false sense of competence. 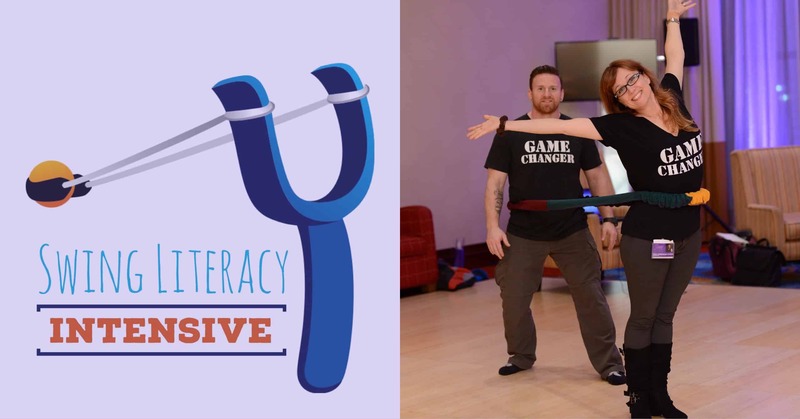 (We train teachers how to set up a skill-based (not pattern-based) progression system for their students in the Swing Literacy Teacher Development Program). We enjoy teaching these weekends, and feel we can accomplish more than the average event weekend with open-level, disassociated workshops. We see the students bonding together more in their class, and are free to learn at their own pace rather than being labelled by their WSDC level. Because the event is more intimate, we get to social dance and create memories with many of the dancers. I’m talking about events that have Jack & Jills, but no routine divisions. These are quite common, and vary greatly in size. North American events are bigger, which makes it a more impressive scene, but harder to meet people. Sometimes I feel disappointed at the end of the weekend that I never got a chance to chat and network with certain people, because the attendance is so high, or I was simply too over-worked. Don’t get me wrong – we are big advocates of “work hard, play hard”, but as pros, there is an ideal ratio of worktime:downtime that when exceeded, compromises the quality of our performance. This job is so physically demanding – needing to always be “on”, poised, with my game face on, code switching from teaching to judging to performing to social dancing… we often have to negotiate breaks into our contract just to find time to eat and shower. Just like your phone battery, pros *need* recharging time (self care/sleep/quiet/chilling/going outside/eating) in order to recharge our batteries to be able to deliver quality performance (social dance/compete/teach/entertain/speak/engage). We set up a service to solve this problem and give the competitors what they want and need. It’s hard to find this balance, but neglecting it or not prioritizing it reduces our enjoyment of the weekend. Myles and I feel differently about judging at these events. Myles is an experienced chief judge and his ability to raw score >150 prelim competitors within 9 songs over 3 heats is mind-boggling. I, on the other hand, am confident and comfortable judging, but I definitely prefer teaching. 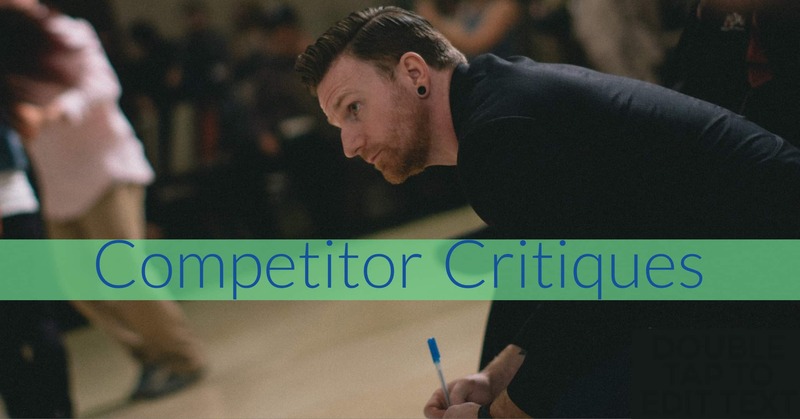 When I’m judging, in my heart all I want to do is take each competitor aside, coach them on a few things, then throw them back in the contest. It hurts my teacher brain to have to score dancers without any qualitative explanation. 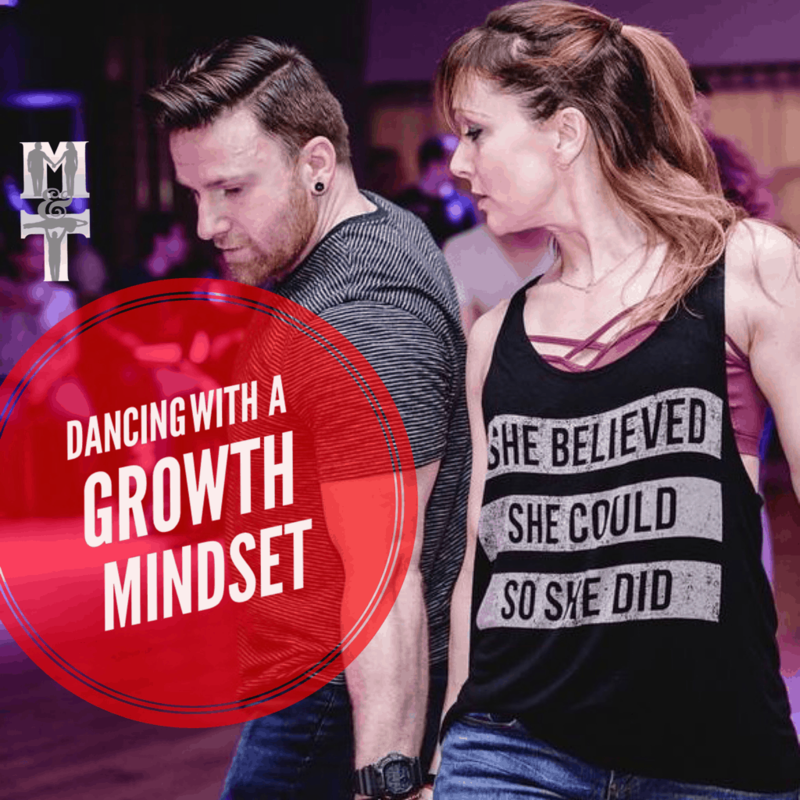 Growth mindset is the key to enjoying your dancing at every level. Check out this article. Workshops at these events are offered by a large staff comprised of both local and international teachers. There are usually several rooms dedicated to workshops, and most are open for dancers to choose their level, which sounds like a benefit, but it’s not ideal. Some teachers find it challenging to teach a workshop that is advertised as “Advanced” when the average demographic of dancers who attend is sub-Novice. Dancers should be equipped with strategies to mine valuable advice from workshops at any level. Recently, more events have been offering designated AllStar workshops to attract more upper level dancers. This is a powerful arrangement, because not only does it motivate AllStars to #gettoclass and #neverstoplearning and #stayhumble in their dance training, but it also models growth mindset to the lower level dancers observing AllStars like big brothers and sisters. AllStars with this mindset also tend to adopt a healthy approach to social dancing with all levels, which contributes to the enjoyment of the lower level attendees. Another recent trend is to offer longer workshops on a specific topic, taught by one of the teachers on staff. The term “mini-intensive” is used, but this just means that it is separately ticketed and not to be included in with the other standard workshops. We love teaching these, of course, even though we often wish we could go beyond the standard 3 hours, and we have a menu of them to choose from. Our most popular one, the Swing Literacy Intensive, is the taster to our Swing Literacy Development Programs, and is open to all dancers and teachers. As top-placing Showcase competitors, we are contracted for the majority of NASDE events. We consider ourselves performers first and foremost, so we love these opportunities to perform choreography on the stage, under the lights, in front of the camera: engaging the audience emotionally in our art is what drives us year after year – the audience applause and feedback we get from spectators fills our soul and far outweighs any trophy. We are also honoured to be part of West Coast Swing history – to leave a legacy in the Showcase division and participate in the formal structures of our cultural art form. On the other hand, performing our Showcase routine means a lot more physical and mental work for us. We prefer to have a 3 hour preparation block before competing, and keep a light workload that day. Sometimes this isn’t possible and we have no choice but to perform jet-lagged, over-tired, sick, under-warmed-up, or in less-than-ideal circumstances. It takes a lot of effort and energy to prepare our bodies for the lifts we do in Showcase. By the end of the night, we are torn between honouring the promoters who want to thank us with a midnight VIP party, and social dancing with the students and audience members who paid to see us. 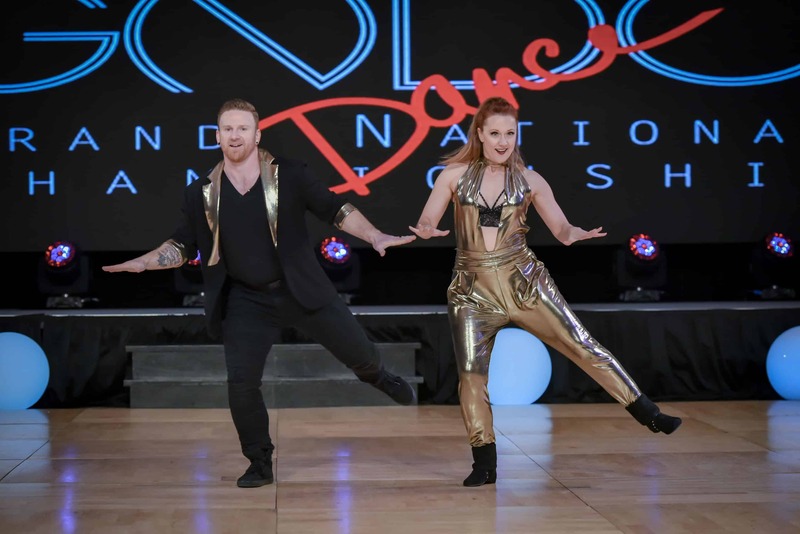 Because the emphasis is on the formal competitions, NASDE events usually only offer 1-2 workshops per instructor couple, so our teaching schedule is much lighter and focused more on private lessons. Dancers looking for a cornucopia of workshops will not find it at a NASDE event, but you can guarantee that the workshops offered will be high-status teachers. What you will find, however, is inspiration. There’s nothing like seeing routines live – video doesn’t do them justice. Balance. I think we would feel unsatisfied if we removed any one of these event formats from our annual schedule. When I’m exhausted after a high-intensity NASDE event, it’s nice to recover the following weekend in a small town running an Intensive. It’s “recovering” because while we dedicate a ton of effort and energy to the dancers’ growth, it exhausts us in different ways than Showcase does. And while we love the formality and class of some events, it’s nice to get down to earth and let loose and enjoy shenanigans with friends. And while we love traveling overseas, experiencing different cultures, and fostering new friendships, we also love the familiarity of our own region and fostering our local dance family. Suffice it to say that we are picky about the promoters we work for – we have learned through experience to do our due diligence and work only for promoters who prioritize building community and serving the dance over ego or personal gain. We also choose events based on their added value (for ourselves, not for the attendee): at this point in our careers we spend a lot of time in hotels, so we look for opportunities to add value to the standard judge-compete-workshop formula. This might include things like speciality intensives, crossover, teacher training, theme shows, pool party, city tour, quality time with friends, sightseeing or golf, etc. These are experiences that make the event worth more than our contract alone. I think event directors need to make decisions on their brand and the consumer they are trying to attract. It’s a futile endeavour to try to please everyone at the same time. The most successful events design their event to focus on one of these formats, decide on the demographic they want to cater to, find out exactly what will appeal to that group, then hire staff that are in alignment with their goals and target marketing efforts specifically to that demographic. Everything else is about expression – how you want your attendees to view the event/feel about the event/feel at the event. While I have been involved in “selling” physical activity since I was a teenager, I am smart enough to ask for advice from trained business and marketing professionals for coaching or delegation on those aspects I am not an expert in. I suggest dance promoters do the same. Consider 2 things: Goals and Balance. Experiment with different types of events – don’t assume they are all the same. And when you enjoy a workshop, a performance, a private, or a weekend, TELL YOUR FRIENDS. Spread the love and help more people understand the awesome opportunities they can have for themselves. And, ALWAYS support ALL of your local events, because that’s what dance families do, and dance events build community, and everyone benefits when a community grows. The Canadian Swing Championships is the ultimate Swing crossover event held every May since 2001. 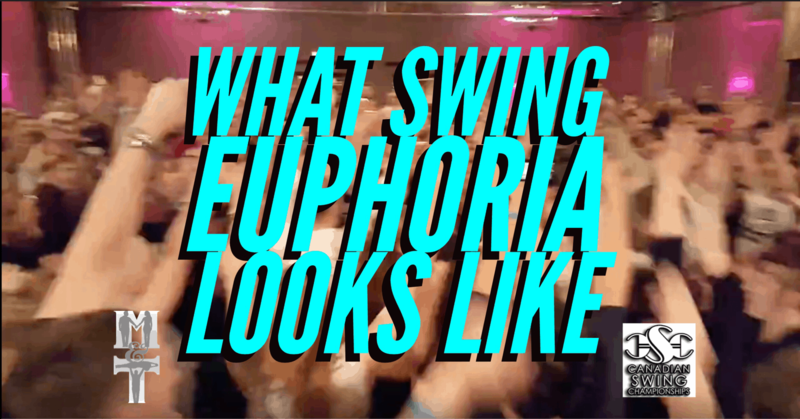 When it comes to crossover, team spirit, unbridled energy, all-night partying, and true appreciation and celebration of all things Swing, this is the event that sets the bar to a new high. Join the CSC Facebook group to stay informed. If you haven’t got a passport yet, start now and save the dates: May 17-20, 2019. Like this article? Check out the dozens more!